When it comes to summer entertaining, cooking out and BBQ is definitely our go to but sometimes the timing isn’t quite right or maybe the weather tries to ruin our plans! 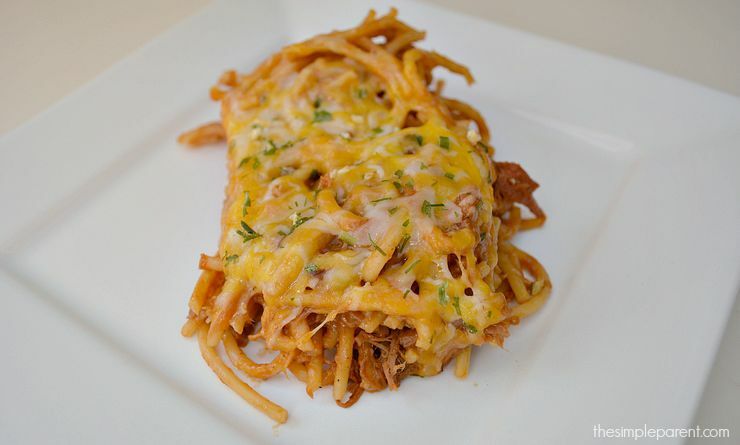 But you can still get that BBQ flavor you love in summer without slaving away over the grill with this delicious BBQ Spaghetti Bake recipe! The key ingredient in this recipe is Farm Rich Smokehouse BBQ Pulled Beef Brisket. 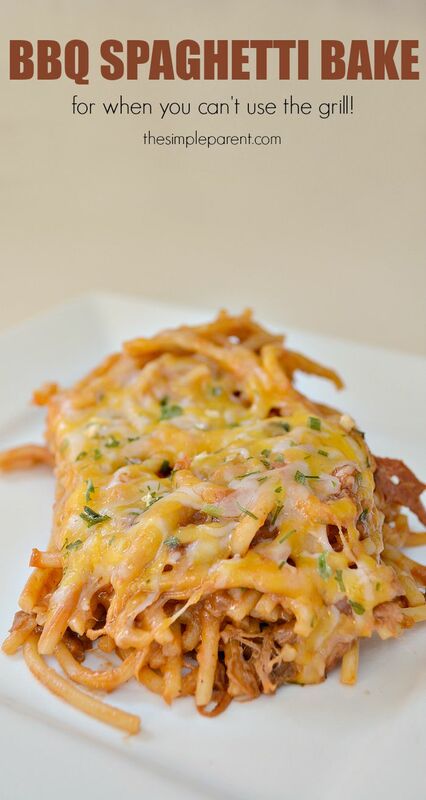 It makes the recipe quick to prepare and perfect for summer entertaining when you can’t get outside to use the grill! Or if you need to save time, it’s the perfect way to get that smoky flavor you love without missing out on party time with your friends and family! 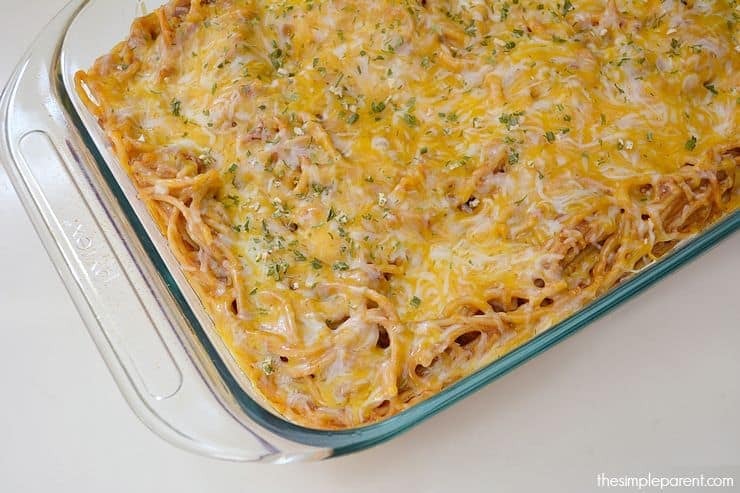 Grease a 9×13 baking dish and set aside. Heat oven to 350 degrees. Cook pasta according to the packaging and drain. 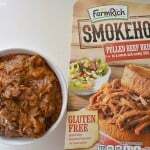 Heat Farm Rich Smokehouse BBQ Pulled Beef Brisket according to directions on package. Combine BBQ sauce, tomato sauce, and sour cream in a large bowl. 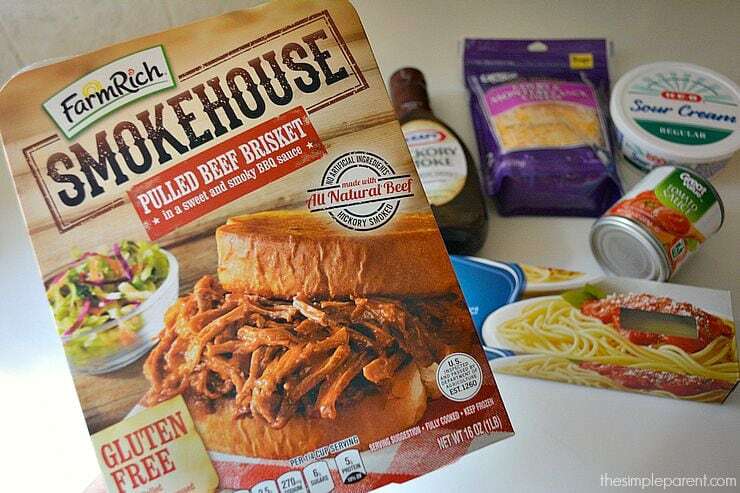 Add pasta and Farm Rich Smokehouse BBQ Pulled Beef Brisket to the bowl and stir to combine. Pour mixture into the 9×13 dish and top with cheese. Spray a piece of aluminum foil with non-stick cooking spray and cover dish with foil. Bake for 25-30 minutes or until heated thoroughly and cheese is melted. For another delicious (and easy) recipe, try our Sausage Pasta Bake too! 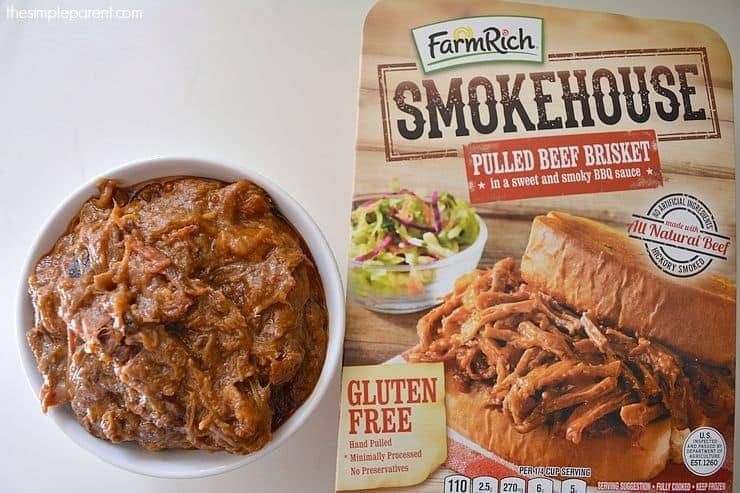 The Farm Rich Smokehouse BBQ Pulled Beef Brisket not only adds convenience to this recipe and your next party, but it also adds great flavor. It’s authentic BBQ that is slow cooked for hours and hand pulled. It’s made in America with clean ingredients that make it a delicious addition! So the next time you throw a cookout for your friends and family, think about saving time with a little help from Farm Rich Smokehouse BBQ. And make clean up easy by using paper plates and cups for your next party! Make entertaining easy and fun this summer!